Who likes that feeling when our clothes refuse to fit us anymore, that increasing obesity which tags us as unfit is the one thing that ruins our day and the evil cause of this obesity is our unhealthy and junk eating habits. What goes inside is what comes outside especially when it comes to food. So what to do just give up on our favorite delicious food and break up with it because our clothes won't fit anymore. No, we say never compromise on taste anymore when you just as delicious food in the healthy food category now with fit bites. Fit bites is not a recipe application but it is an extensive database recipe, the raw treasure to loot on. You get so many delicious recipes which are nothing but your day saver when you have unending craving to have something extraordinarily delicious to feed those cravings. It is the time to revolutionize your eating routine by only letting finger licking delicious food feed your tummy. How well we succeed in our lives largely depends on how healthy and active we are from inside and it all begins from a healthy breakfast then to nutritious lunch and light dinner high in essential nutrition to end your day perfectly. Say goodbye to those fatty pants that you hate to wear because your favorite jeans won't fit anymore. Losing weight will never be more delicious and fun when you have a great app that is a mine of healthy recipes which has selected recipes only for those who are looking to get back into shape. Fit Bites is no less than a knight in a shining armor for those who know the pain of giving up on delicious food or on their favorite sweet dishes, but now you can enjoy all those delicacies without having to worry about the number of calories because all our recipes have stood the test of least number of calories possible for a complete nutritious meal. People are suffering from severe problems like heart problems, gastric pain, liver ailments, obesity which is the root cause of all problems only because of lack of healthy food and the protein, vitamins, essential acids that our body needs to function well. No one wants to fall ill and be home to this disease but we all are so deeply consumed with our tasks and hectic schedule that we miss out on making ourselves a complete meal. Fit bites revolve around this problem only and it has a huge database of only those healthy recipes which can easily fit in your hectic schedule so that you don't have to an extra mile to take care your health and stay forever away from these diseases. Just an effort on your part along with fit bites will help you go a long way in achieving your targets with full health and active lifestyle. 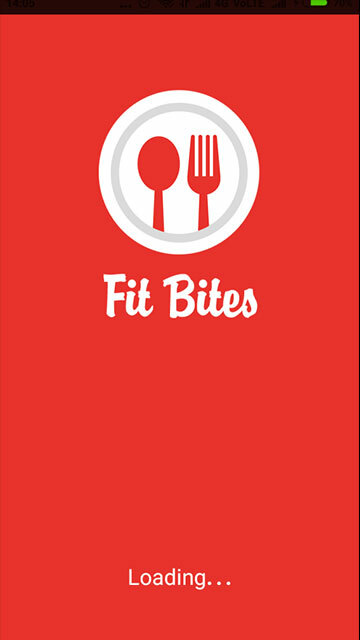 Fit bites is very focused on its agenda to help you stay fit and give the yummiest food to restrict those extra pounds so it only has non-fried, non-oily food that not only tastes exceptionally delicious but also has the lowest calories intake that there can be in plate full of protein, vitamins, essential amino acids etc to make your day. When you start cooking with easy delicious recipes readily available ingredients, you would no longer want to eat junk food, that's our promise. It is so difficult to find the perfect food to lose weight quickly, but with the honest guidance, you can easily do that without much hassle. So at fit bites, you get the best recipes that there can ever be, you just have to name it, be it low-fat rice dish, soup recipes, low-calorie chicken recipes for those who need a daily dose of protein without consuming a huge number of calories. Fit bites are nothing less than a treat to eyes along with a treat to your health. 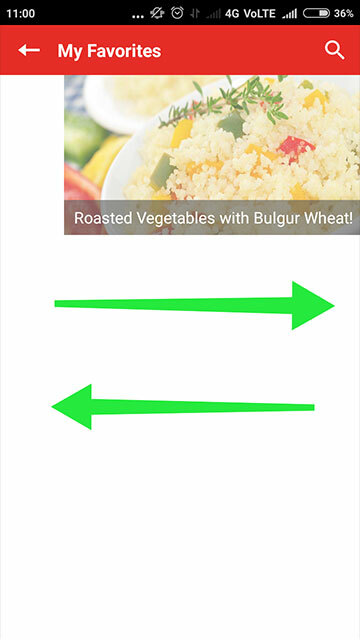 With exciting graphics, high-resolution, HD images, this weight-loss recipe app will surely become a part of your kitchen forever once you start using it. The images of our special healthy recipes are sure to give you high plating goals. What useful can a weight-loss recipe be if it doesn't give the exact number of calories that you are consuming? If your aim is weight-loss or attaining general overall fitness, then you must know your daily calorie intake to keep a strict eye on your meal and eating schedule. 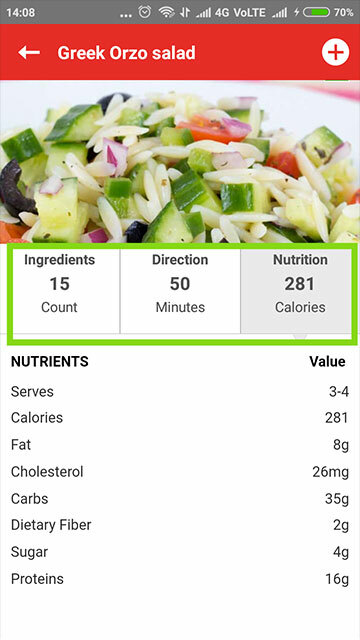 In fit bites, you can find out how many calories do your favorite dish has and whether it suits your fitness regime or not. what to cook tonight? It is the most troublesome question for those who cook. When you run out of recipes or when you want to make something special out of your regular recipe book, you need a recipe book which has a blend of all recipes so that you never have to worry about the dinner, just go through fit bites to find the best breakfast and dinner recipes. The top-notch animations and graphics are the key to high engagement apps and fit bites stick to it always. Our fun animations make your cooking experience more fun because cooking shall never have to be boring. Fit bites come with a slight hint of animation in its recipes to keep the boredom locked away. Exclusive weight-loss recipes are loaded in fit bites which gives a long in getting back into shape and lose weight with weight-loss meal plans and low-fat diet recipes which not only takes heavenly but also weights extremely low on calorie scale. Exercising to lose weight is hard enough, dieting shouldn't be. Fit bites are the ultimate source of delicious weight-loss recipes. Fit bites run through internet making it extremely light and highly robust. Its high performance is a consequence of its compact size and well-structured modules make sure that don't you don't have to think twice about before installing it or using it because of slow performance. Fit bites is just as active and smooth as your lifestyle should be. 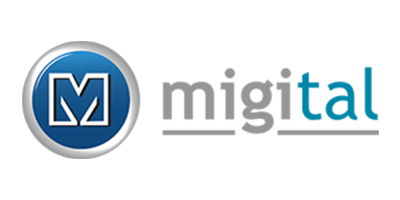 Fit Bites runs on data server online, hence it is not a static database app, which is usually bulk and consumes too much of tour phone memory and makes your phone rather slow. Another tasty reason for why you should download fit bites and start your first step to being fit and your way to the most delicious, healthiest food ever. 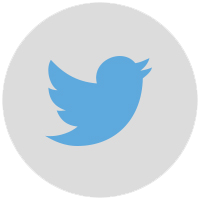 How great will it be if you can save all your favorite recipes right under your access every time, your favorite baked chicken, cream vegetable soup, best vegetarian recipes, zero calorie desserts and your every favorite recipe? Along with this how heartwarming it is to find your favorite recipe when you search for it. Well, fit bites have them both. So don't wait anymore to it a try. Fit bites are kept as simple as a recipe cookbook, having a set of recipe and nothing else to serve the purpose of well structured and exemplary recipe book. But still, if have you have had any doubt take a look at these quick FAQs. 1. Is dieting well to lose weight? Most dieticians and physicians will strictly tell you to never stop eating at once in the name of dieting, dieting, however, has a different meaning. Dieting is not stopped eating food, but to eat only healthy, low-calorie food which helps in losing weight. Staying hungry for a long period of time makes our metabolism slow, which consequently leads to low absorption of fats and it gets deposited in our body leading to more weight gain rather than weight loss phenomenon. 2. How can healthy food help in losing weight? Healthy food is a more important factor when it comes to losing weight, even more than exercise. So it is essential that you eat only less oily, spicy food which is high in nutritious content along with hygiene. Healthy food nourishes our body by providing essential nutrients and also helps in detoxification of body by flushing stored fat, excess sugars, and toxins which keeps our weight under control and eventually leads to losing weight only with a full healthy meal plan. 3. What kind of recipes can I find in fit bites? Fit bites may not have your favorite pizza and burger recipes, but it has something more delicious and completely health friendly food like soup recipes, chicken recipes, some low fat desserts, breakfast, dinner, snacks and all the kinds of recipes. 4. How to find veg recipes? 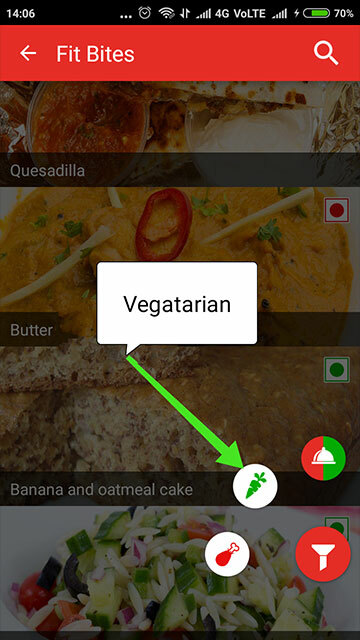 Go to filter in the bottom right corner of the app and select the green icons which for checking exclusively veg recipes for our vegetarian audience. Veg food is easily digested and quick to make and less susceptible to diseases, with the increasing number of vegans, fit bites has a special column for veg recipes. 5. 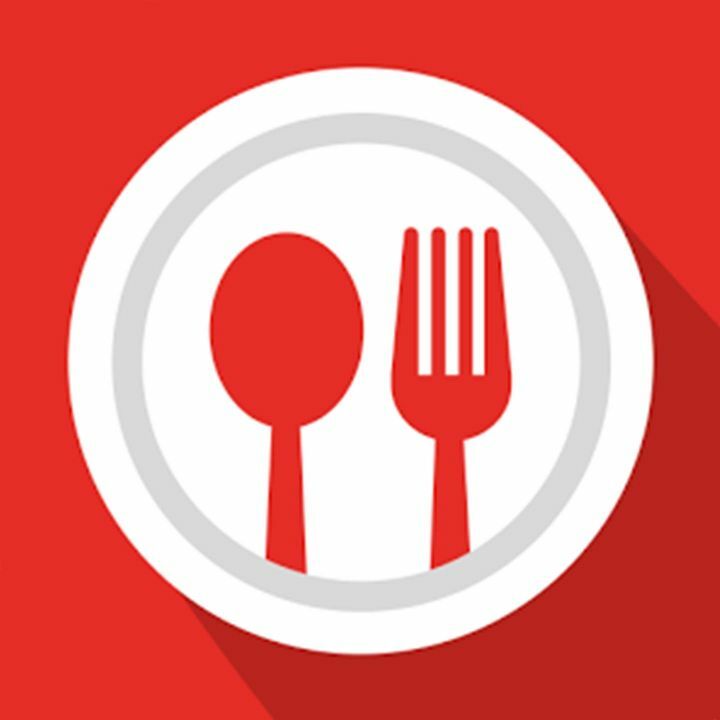 How to find non-veg recipes? 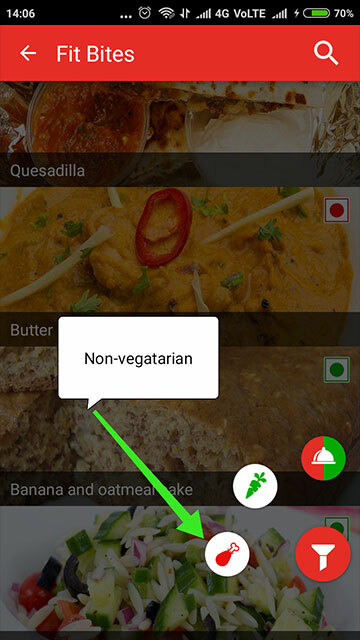 You can easily find non-veg recipes in fit bites just by selecting the non-veg option in filter columns. Why should you comprise with taste and your love for chicken when it can all fit in your daily quota of calorie intake. Non-vegetarian food is an extremely great source of protein and energy. 6. How do I save my favorite recipes? If you like any recipe and would like to make it anytime soon, you save it to your favorite list just like a music playlist. 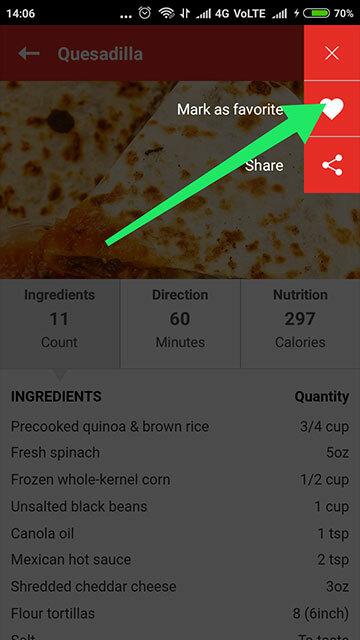 Open the recipe that you want to save, tap on the menu in the top right corner and select "Mark as Favorite". You can view these recipes anytime you want to and enjoy without taking the pain to find them again. 7. How to manage my favorite list? 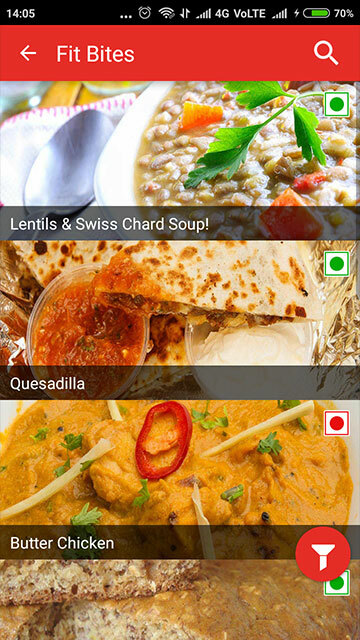 You can easily manage your favorite recipe list. Simply add all the recipes that you want to see your favorite recipe section. To delete or remove any recipe from your list, simply swipe the recipe from left to right or left to right to unmark it as your favorite recipe. 8. How to find a particular recipe? The answer is without any trouble. 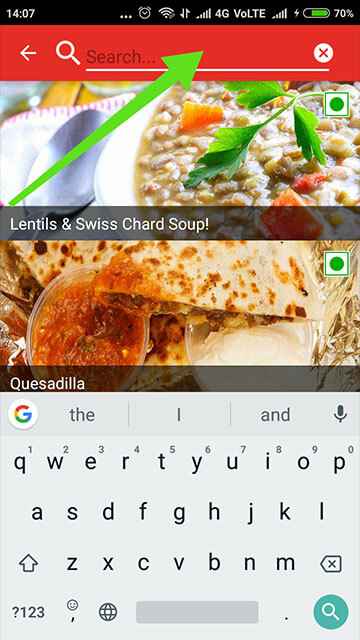 Tap on the search column at the top of the page, type in the recipe that you would like to give a quick search and there comes your desired recipe which can make for your next meal. 9. How to share a recipe? Love, happiness and delicious food are best tasted when shared, and so is a great recipe. 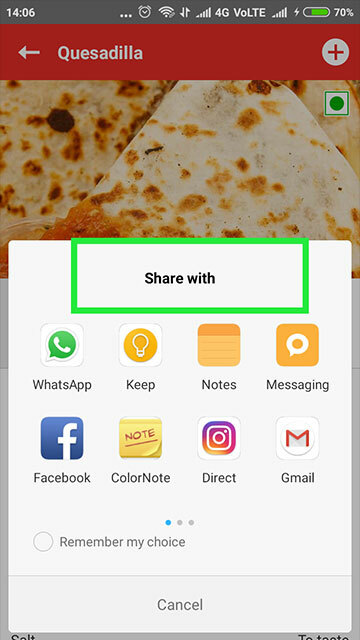 Share your favorite recipes with your friends and family just by selecting the share button in the top right corner of a recipe page. Sharing delicious food might cost you, but sharing recipes on fit bites is on us, completely free. 10. 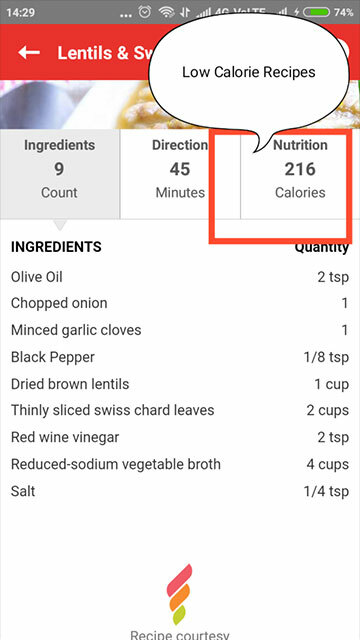 How do I find the approximate time to cook and calories of a recipe? 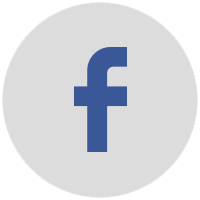 On every recipe page, we have a full data of how much time will it take to cook a dish, so that you plan in accordance to your schedule along with the number of calories so that you can stick to your calories chart. With such accurate and organized data, you can easily follow your fitness routine and stay healthy and in shape forever. 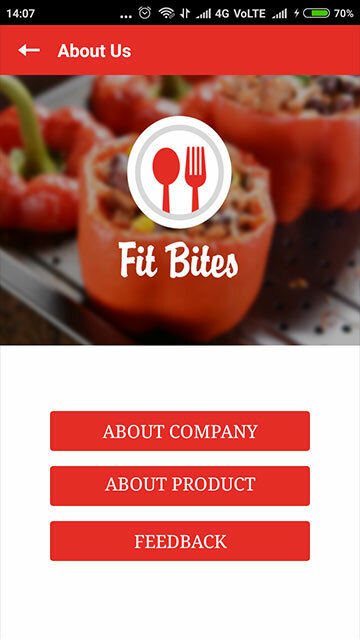 With Fit Bites App gets fit and back into the shape by dieting in a tasty way now, say goodbye to tasteless diet food which neither is efficient enough to help you lose weight. Get the easiest, best and tested weight-loss recipes, rich in flavors and taste which not only fulfills the delicious eating cravings but are also high in nutrition and nourishment. These quick to make recipes are sure to help you lose weight quickly with delicious diet plans for both vegetarians and non-vegetarians. Want some more useful Health & Fitness Apps? Try Lose Weight Fast App for your Android phone now.